In 2008, my friend and teammate Rob was mistaken for a gang member. He was shot and killed. In my hometown of Lancaster, California, this was unfortunately something that happened all too often. A week later, I started high school. My parents had moved us to Palmdale, a neighboring town, so that I could go to Highland High School, which was one of the two high schools in the area that offered International Baccalaureate classes. Though it still did not meet the California Academic Performance Index score, my parents believed going there would increase my chances of getting into college, and I could continue to play basketball competitively. Getting through school after losing Rob was hard. It was the first time I had ever lost someone close to me, and I didn’t really know how to grieve. I didn’t do great my freshman year. Come sophomore year, I was spending too much time with the wrong people—though I didn’t realize it then. I had lost my desire to make something of myself. Luckily, I had parents who were involved in many areas of my life—something most of my peers did not have. My support system at home is strong. My parents kept track of me. They checked in regularly with my teachers. During my junior year, I was forced to go through a painful process yet again. I lost Chris, my friend and teammate of over six years. But the people around me made sure I didn’t fall behind in school this time. I had the same history teacher my sophomore and junior years: Mr. Johnson. He guided me through the grieving process while making sure I stayed on track for college. It was amazing how hard he worked to ensure I had a chance to thrive. Along with my parents, I owe my resilience to him. He saw what I was going through and tutored me after class. We talked about what was going on in my life. The thought of seeking therapy did not sit well with me. So Mr. Johnson offered an alternative by offering emotional and academic support. One thing he said has always stuck with me: “You can put a positive spin on bad situations and rise above, or you can be another statistic for people in this community.” I didn’t want to put my loved ones through the worst-case scenario. I didn’t want to be another number. It was a wake-up call for me to get out and make something of myself. In 2012, I was accepted to UC Berkeley. When I started, I quickly realized that I was far from being the smartest person in the room. I was just excited to connect with people, build strong relationships, and take advantage of being fortunate enough to attend one of the most prestigious universities in the world. I did everything in my power to give back. I mentored underprivileged youth through the Young Entrepreneurs at Haas program. These kids were attending high schools like mine and wanted to pursue higher education. In addition, I was a peer mentor to students at Cal who were interested in pursuing careers in entertainment. I wanted to help others succeed, just as Mr. Johnson, my basketball coaches, and my family had helped me. My mission is to set up a scholarship in remembrance of the friends I lost. I want kids who are growing up in similar situations to see that they can escape. I feel it&apos;s my responsibility to do everything I can to help empower and educate others. I want to provide hope for youth who have been through situations similar to mine. I want to help move them forward. 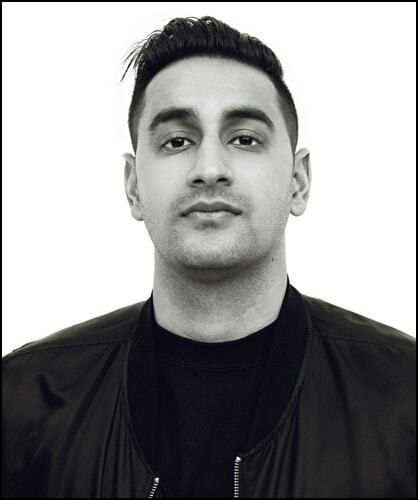 A California native living in NYC, Ankit Vij works in digital media strategy at Essence Digital. He&apos;s a media, technology, and music enthusiast striving to combine each of these passions towards a larger purpose. Ankit is a recent graduate of UC Berkeley, where he earned a B.A. in media studies.